Isagenix IsaBody Challenge UK - Win Up to £5,000! Isagenix IsaBody Challenge UK – Health, Fitness, and MASSIVE Prizes! If you’ve taken the time to learn about Isagenix, then you know all about its global mission of transforming the health and finances of people around the world. Isagenix provides each customer and associate with the support and tools they need to succeed. One of these powerful tools is the Isagenix IsaBody Challenge. The IsaBody Challenge is a multi-faceted competition designed to encourage you to take action and begin reaching your fitness goals. It’s completely free to join and provides new Isagenix users with the ability to win HUGE cash and product prizes. While the incentive of winning up to £5,000 in cash will provide you with the added motivation you need to reach your fitness goals, everyone wins with the IsaBody Challenge. In fact, every participant who completes the challenge receives a FREE voucher for £150 in Isagenix products! How Does the IsaBody Challenge Work? 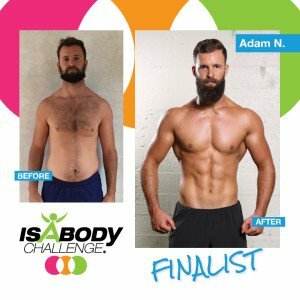 The Isagenix UK IsaBody Challenge is a four month (16 week) competition designed to help motivate Isagenix Preferred Customers and Associates to stick with the programme and achieve life-changing results. Rather than only operating for a few months out of the year, the competition runs year-round and allows everyone new to Isagenix to begin competing for their health from day one. That’s right; you can begin your IsaBody Challenge whenever you want! The IsaBody Challenge revolves around your personal story. The people who create the most compelling stories of their weight loss or fitness journeys win. It’s as simple as that. To create your story, you must take a handful of ‘before’ photos at the beginning of your challenge and a few ‘after’ photos showing the progress you made throughout the competition. To achieve your results and help support your fitness goals, you must use a minimum of 500BV of Isagenix products during the challenge. When finished with the 16 week challenge, you write a 250-500 essay describing your journey and how you benefitted from the Isagenix programme. Those with the best results and most inspiring stories are eligible for amazing prizes! The Isagenix UK IsaBody Challenge is completely free for Isagenix Preferred Customers and Associates to join. If you’re not yet an Isagenix customer, contact us and we can help get you signed up and started today. previous challenge participants have achieved some incredible fitness and weight loss goals following the Isagenix programme, the only way to reach your goals and win the IsaBody Challenge is to push yourself and stick with it day in and day out. The Isagenix IsaBody Challenge consists of four categories, allowing you to potentially win even more awesome prizes! The weight loss category of the IsaBody Challenge is pretty simple. Contestants who achieve the best weight loss results are rewarded for their efforts with great prizes. That being said, the people who lose the most weight aren’t always the ones who win. During the challenge, contestants must stick to the programme in order to receive the right nutrition and nourishment. Therefore, a compelling story plays an equally big role in deciding the winners. Isagenix products are about much more than losing weight. In fact, many people choose Isagenix programmes for their ability to assist with healthy ageing as well. This category is designed specifically for those participants. If your focus is living a healthy lifestyle and ageing gracefully, you can win great prizes simply for telling your personal story and sharing how the IsaBody Challenge has turned your fitness and health around. If you’re satisfied with your weight and taking the IsaBody Challenge to improve your athletic performance, this is the category for you. 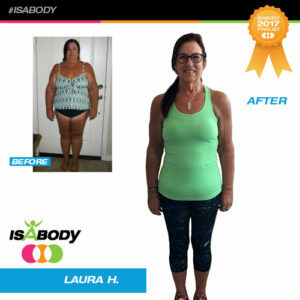 Winners in this category often reduce their body fat percentage or compete in triathlons and other fitness events to show how Isagenix enhanced their physical performance. This final category is designed for participants with previous experience going through the IsaBody Challenge. As an Isagenix Associate, you can take the IsaBody Challenge as many times as you like. The ‘Reload’ category is designed to award participants who have demonstrated sustained progress through several IsaBody Challenges. With Isagenix, you’re rewarded for your commitment. There are a tonne of prizes up for grabs with each IsaBody Challenge. The best part is, everyone receives a prize just for finishing! We’re not talking a lame trophy or blue ribbon either. Just for finishing the IsaBody Challenge, you’ll receive a voucher for £150 worth of Isagenix products. Talk about getting something for nothing! As far as the other prizes go, their values increase according to the compelling nature of your story. Grand Prize winners receive £5,000 and a celebratory trip to an international Isagenix event to be honoured on stage! Meanwhile, Challenge Round finalists are awarded with £1,000 cash and a professional photo shoot. “I can’t believe what I’ve accomplished and I can’t believe this is now my new normal! I am so thankful for what the IsaBody Challenge has motivated me to accomplish and for the incredible community that comes part of it.” – Rachelle P.
“I may have finished my first 16 week challenge however this is just the beginning. I can’t wait to keep smashing goals and see what the future holds for me.” – Raymond M.
“I have a new-found sense of worth and accomplishment that I didn’t know possible. I believe the Isagenix IsaBody Challenge can gift these feelings to everybody and I’ll spend the rest of my life sharing it with the world.” – Adam N.
“Thanks to the IsaBody Challenge, I am truly happy and whole for the first time in my life. I’m wealthy in my family and health beyond what I ever imagined possible.” – Sarah M.
There’s no time like the present, especially when it comes to your health and happiness. Sign up for the IsaBody Challenge now and get started on your Isagenix journey today. In just a few months, others might be reading your success story as well!